This is the first In a series of posts that will chronicle our move from Minnesota to California. While normally this is a tech blog, since I'm not currently doing tech but moving to a new church, that's what I've got to write about. Normal geeky stuff will resume in a few weeks. 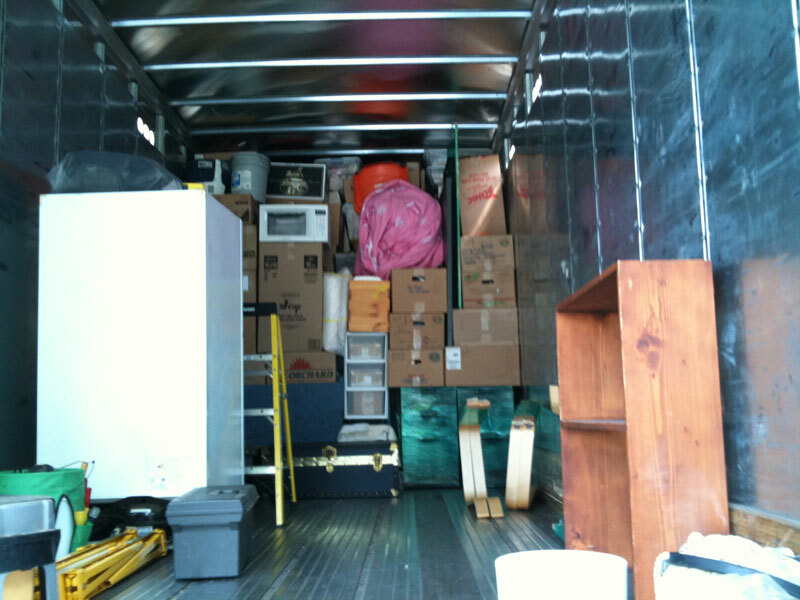 So, on to day 1: Pack the truck. Today's goal was to get most of our stuff out of the house and into the garage. I hoped to get about 1/2 the truck packed. Well, as often happens, things didn't go as planned. 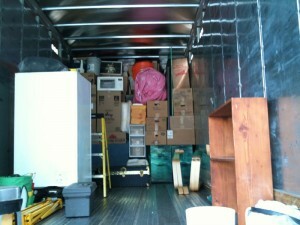 The house was emptied in about an hour, and we got nearly 90% of the truck packed. Under-promise, over-deliver; that's my motto. We had a great crew today, that's for sure. We're using ABF to get our stuff to SoCal. They drop off a 28' truck and we load our stuff. You pay by the foot, and their estimate for us was 19'. I was pretty sure we'd fit into that. The count right now stands at 12'. With just a few more things to go, I think we'll be under 17'. This means we save money, Which is a good thing. The plan is to have a few more people come over tomorrow and get the beds, the big screen, chairs and final kitchen stuff into the trailer. We stay at a hotel tomorrow, the first of 9 such nights before we will be reunited with our stuff in our new home. I will be attempting to track our progress acros the country with quick blog posts and some pictures. Since I just got an iPhone, I'll be trying to blog from that. That's it. Day 1 is in the can!